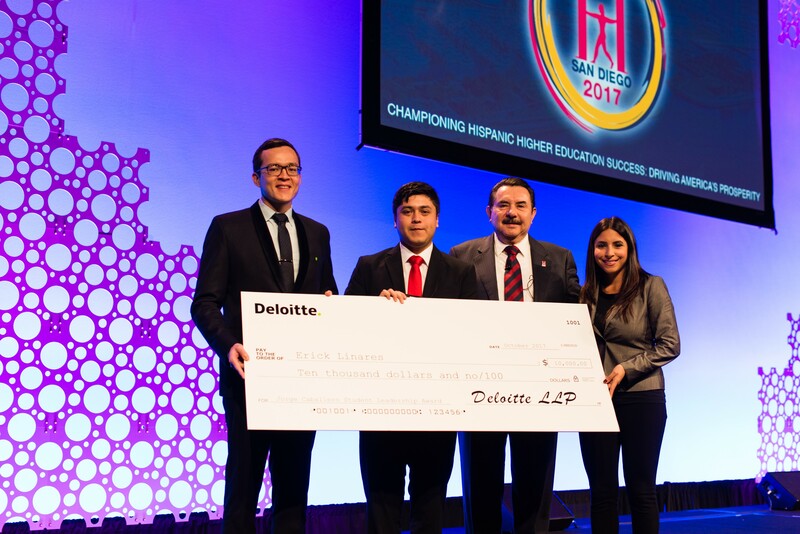 Deloitte LLP, in partnership with the Hispanic Association of Colleges and Universities (HACU), is offering the Jorge Caballero Student Leadership Award. This award provides $10,000 in funds for high-achieving accounting students who have demonstrated leadership qualities through academics and community involvement. Please read the information below for eligibility requirements and application instructions. • Full-time student attending a four-year college or university that is a HACU-member institution. Click here to access the HACU Membership Directory. 1. In 200 words or less, discuss three significant obstacles you have overcome in pursuit of your education. 2. In 200 words or less, provide examples of your leadership as it pertains to community or school related events. 3. In 100 words or less, describe your potential interest in Deloitte. After each of these four documents is ready, you may complete the short application form. Applicants must demonstrate a strong interest in future employment with Deloitte and as part of being considered for the scholarship will have the opportunity to be selected to participate in a paid internship with Deloitte. Applicants may be contacted by a Deloitte representative via phone as part of the final selection process. The deadline to apply is Friday, August 24, 2018 at 5:00 PM Central Time. The awardee will be sponsored to attend the HACU ¡Adelante! Leadership Institute of HACU’s 32nd Annual Conference, Oct. 6-8, 2018, in Atlanta, GA., and will be recognized with the award during a luncheon event of the Annual Conference. If you have any questions, please contact HACU Student Services at scholarship@hacu.net or 210-692-3805.